SCS sheet or plate is proven to increase laser or plasma cutting speed by up to 35%. With its smooth finish and super-clean surface, SCS steel lowers beam diffraction and there's no more "fogging" of the laser lens from burning HRPO's oil. These factors yield laser cutting speed increases that've been validated by laser system OEMs. It's clear that SCS is Laser Steel. Plasma cutting SCS sheet steel produces comparable speed increases. 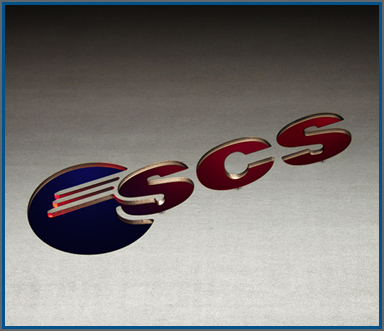 Whether CNC laser or plasma, using SCS can help you get more product across your sheet metal cutting machines. "New laser units like ours are fast to start with, but SCS gives us another 15 to 25% speed improvement over P&O." A railcar manufacturer insists,“Keep buying SCS!” Why? P&O’s oil clogged plasma filters and caused excess welding fumes. Not with SCS. Another fabricator finds that SCS laser cuts faster than P&O, since oil smoke no longer fogs laser lenses. This owner of a leading laser job shop serves as a consultant on both laser equipment and operations. He recommends using SCS-treated steel sheets for both faster cutting and better part quality. Get the full story here. Another railcar maker replaced hot band with SCS and plasma speed jumped 20%, reaching the top limit of their machines (a limit they'll have raised). Welding defects/repairs dropped dramatically, as did a need for "pre-welding" cleanup of sheets. The laser operator at this large service center was skeptical of SCS claims – until he saw it cut 40% faster than the HRPO they used. This makes a BIG difference, as they cut many small, intricate parts and sheets are on the laser bed for 50 minutes. A conveyor manufacturer lasering HRPO was disappointed in productivity of their new equipment. They tried SCS and quickly achieved remarkable gains in speed. What's more, they used ordinary SHOP AIR as the assist gas - not oxygen or nitrogen. Copyright © 2010 The SCS Producers Group. All Rights Reserved. SCS is a registered trademark of The Material Works, Ltd.